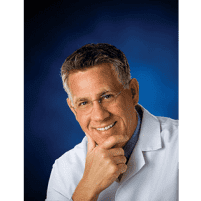 Bunions Specialist - Fishers, IN & Anderson, IN: Lawrence E. Lloyd, DPM, FACFAS: Board Certified Podiatrist: Lloyd Podiatry Group, Inc.
Bunions, those swollen bony bumps that develop at the base of your big toe, are progressive and are only going to worsen without proper treatment. With the help of board-certified podiatrist Lawrence E. Lloyd, DPM, FACFAS, of Lloyd Podiatry Group, Inc., with locations in Anderson and Fishers, Indiana, you can get relief from bunion discomfort. Find out which bunion treatment is right for you by booking a consultation. Schedule your exam online or over the phone. Your risk of developing bunions goes up if you regularly wear snug-fitting footwear, including high heels and pointy shoes. These types of shoes force a crowding of your toes, where your big toe has nowhere to go but on top of your smaller toes. Over time, bunions can develop, especially if you have an inherited faulty mechanical foot structure. Plus, since your bunion is going to cause your feet to rub the insides of your shoes, you could also start developing calluses and painful corns. Whether your bunion is just starting to form, or if it’s already in advanced stages, you have plenty of treatment solutions available at Lloyd Podiatry Group. Sometimes bunion surgery is really the best option to help improve your quality of life. Dr. Lloyd is a board-certified podiatrist with extensive training in minimally invasive bunion correction surgeries. He can realign your toe joint, remove damaged tissues, and make any essential repairs to your affected joints. Book your bunion evaluation at Lloyd Podiatry Group today. Click the online scheduler or call either office directly.